Are you starting to make your plans for the 2012 American Association of Law Libraries Annual Meeting? If so, don’t forget to also register for the third annual PLL Summit! 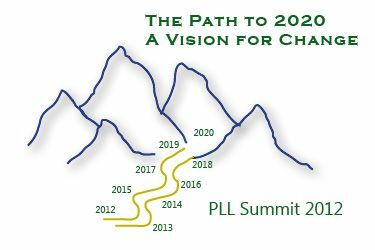 The PLL Summit will occur on Saturday, July 21. The Summit is an all day program focusing on issues critical to the future of law librarians and law firms. As change agents, we must ask the questions which will help us understand the fundamental changes in the business and practice of law. What will information services look like in 2020 and what should we be doing now to advance that vision? How do we empower ourselves to drive information strategies, ensuring our own viability as information professionals? In addition to a forward-looking discussion of library services, a panel of partners, including Greg Castanias, Library partner at Jones Day, will discuss the value proposition librarians bring to the table and how they see our roles evolving. Break-out sessions will cover the business of law, proactively managing your career and technological advances and challenges. We will continue to update the Agenda as speakers and panels are formalized. Not a private law librarian? You may still find it helpful to see the issues facing law librarians in the private sector. As an academic or court librarian, this will help you prepare your students and interns for life in the law firm. The PLL Summit is $145 and the fee includes a reception Friday night, breakfast, lunch and a day full of exciting programming! We hope to see you there. Don’t miss the interview with Greg Castanias in the April issue of AALL Spectrum! Interviewed by Linda Will, Mr. Castanias covers some of the ways that he believes librarians can add value to their law firms.